One more look at this amazing church. 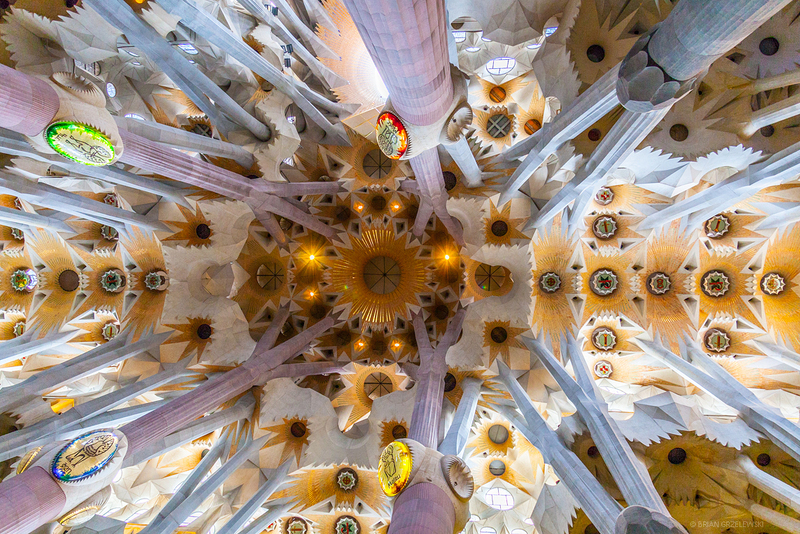 This is the ceiling of La Sagrada Familia basilica in Barcelona, Spain. Antonio Gaudi loved nature. He made his ceiling look like a forest canopy. Anyone know this location? 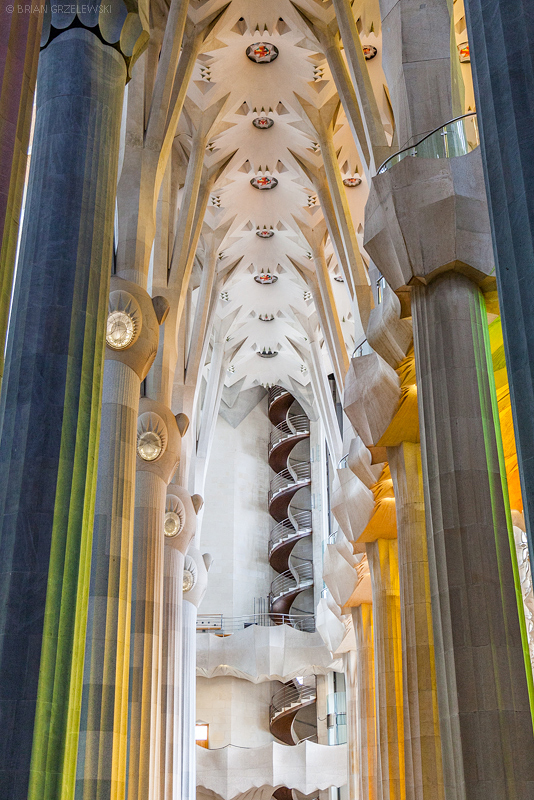 Okay, I’ll give it away… It’s a magnificent church in Barcelona. If you can’t figure it out from that, you’re not trying! What a blast of color it was at some of the market stalls in La Boqueria. 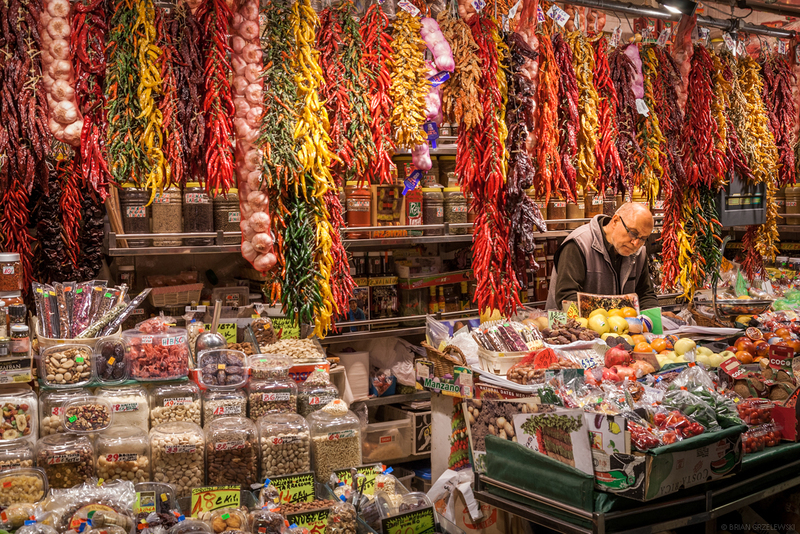 This market in Barcelona, Spain had everything fresh from fruit to fish, from tea to Chilis! And now on to Barcelona, Spain. First up, a little shopping. 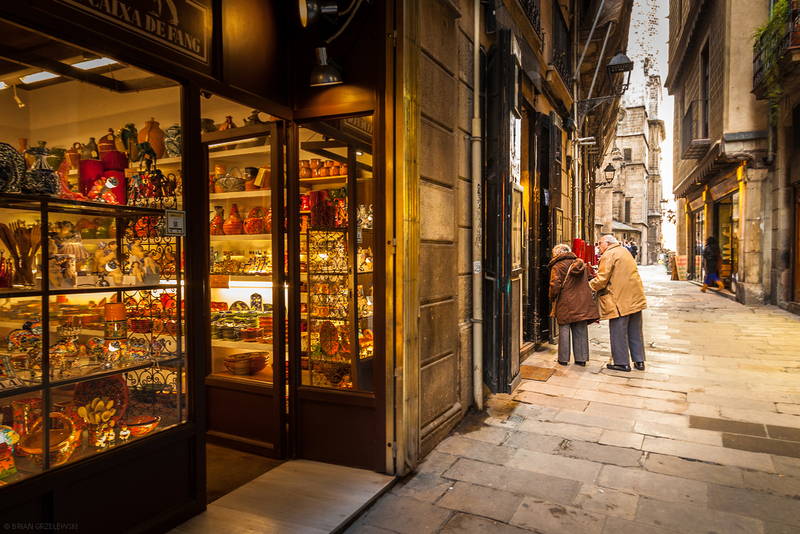 There are lots of little shops down old walking streets. 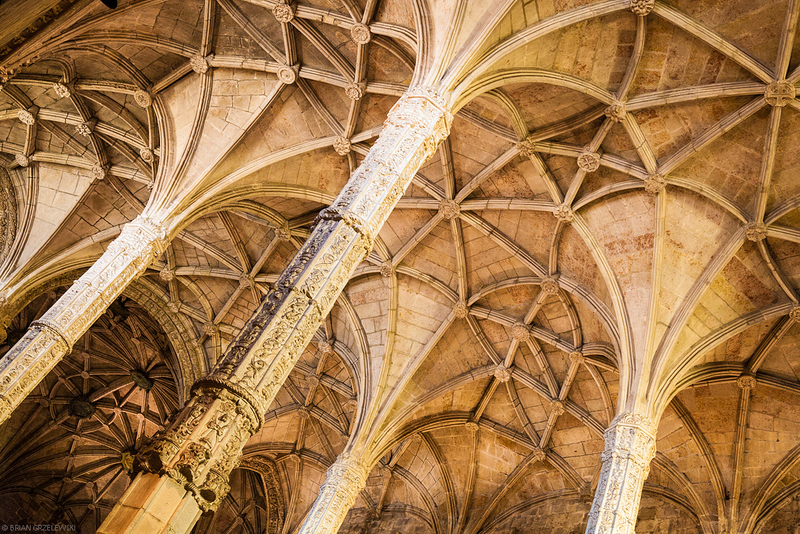 A forest of columns in Jerónimos Monastery, in Lisbon, Portugal. 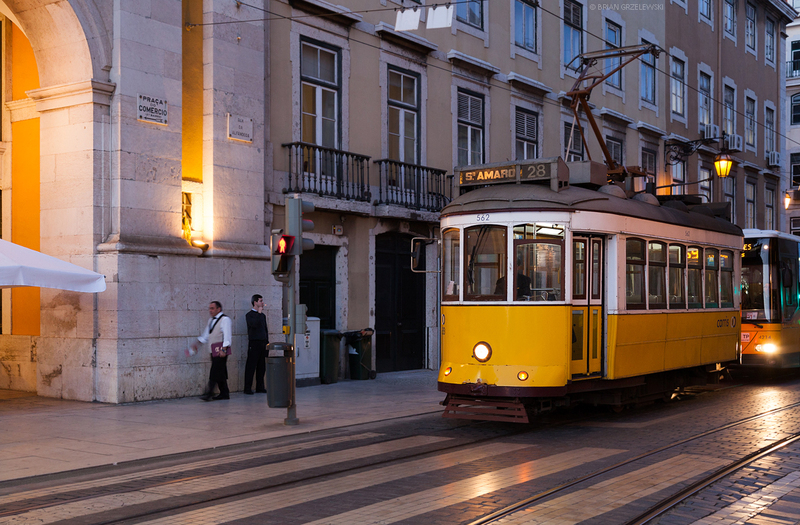 An icon of Lisbon, Portugal is the little yellow trolleys that tool around the town.